So do you need 20-30 minutes and 35°C? No you do not necessarily need to leave conditioner for that long. The length of time you leave conditioner on your hair is proportional to how damaged your hair is. 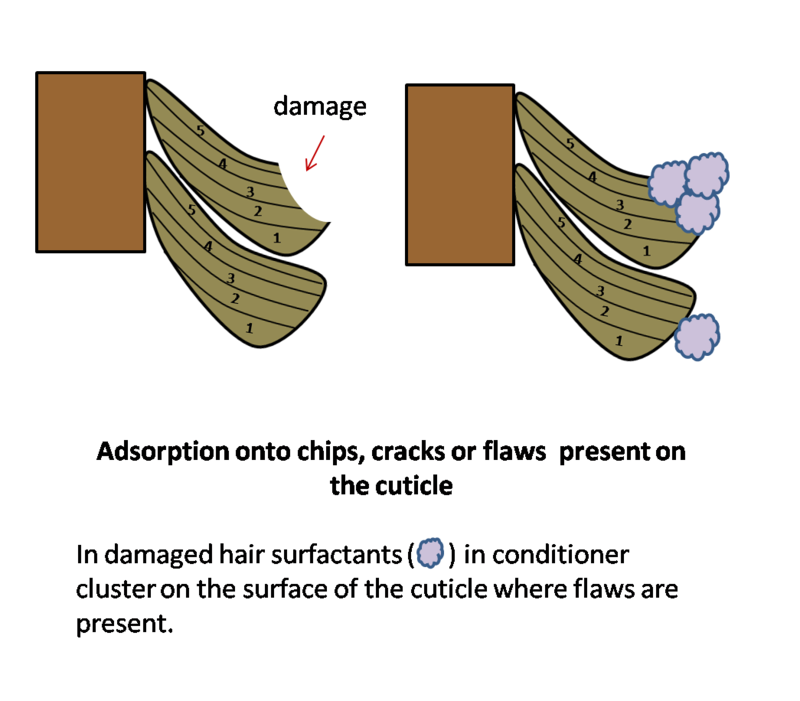 Remember that conditioner works best on damaged hair as it tends to get stuck in cracks and flaws. The less damaged your hair is, the less need you will have for long conditioning time. 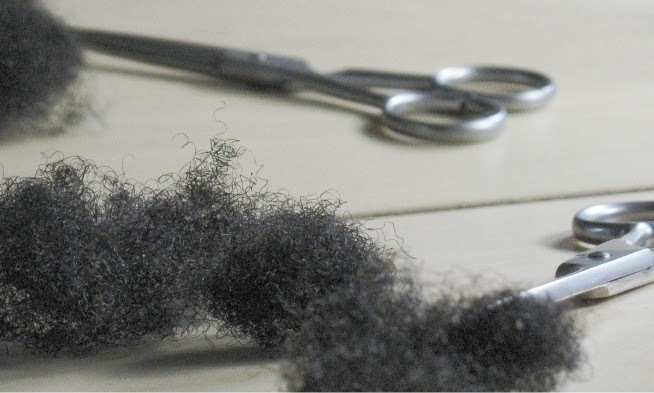 If your hair tends to get overly soft, mushy or if your hair has curls that can form spirals/ringlets but tends to not hold a curl with longer conditioning time, then you are in the group where 5-10 minutes is good enough for you. How can you tell if your hair is damaged if it is not treated in any way (i.e not bleached / not colour treated/ not heat straightened)? You should regard your hair as damaged or having the potential to become damaged if you have a problem with breakage or split ends. If your hair needs supreme care not to snap, regard it as having potential to be damaged. If you constantly see split ends or mid shaft splits, your hair is damaged. In either case, you may benefit from longer conditioning time (20 -30 minutes). Can you overcondition your hair? Quick question. I recently took up Bikram yoga and for the life of me I haven't quite figured out the right approach to prepping my curls for the hour and half high humidity high heat session. At first, I thought glycerin, but then I read that glycerin would cause frizz and potentially cause the hair to feel drier because of the moisture equilibrium factor. Would you recommend using these sessions as a deep conditioning steaming opportunity? Should I stay away from humectants (like glycerin) during these sessions (plus it's pretty cold where I am. Any approaches that you think would prevent me from that dry feeling after Bikram? Thanks in advance for your response! I really love your posts by the way! I think you should stay away from glycerin while doing the session but consider using it after you get away from the high humidity. In my view, there is no product that can keep away frizz in high humidity. Products that act as barriers for moisture such as mineral oil tend to be recommended but even they have limits. I think the easiest thing to do is place hair in a bun for the session and then after the session style it as you like. I do think that yes it would be a good idea to use the session for deep conditioning if you like, that might even help the curl style afterwards. Thank you that was very informative, sometimes I wonder if I am not leaving it on long enough as others spend hours (in some cases days) with conditioner on. Reading this I totally understand that for me its not needed. I lean more on the lazy side and wash out my deep conditioner whenever I feel like it. I thank you for this information, it came at the right time for me. thanks for the conditioning post. This is a little off topic but could you do a post on why companies use different ingredients in their conditioner? For example, if silicones, polyquats and surfactants all stick to hair what is the advantage/disadvantage of using one over the other? Is one group better for one hair type than another? Thanks for all the information. Thank you as always for being so thorough and informative. Quick question (and you may have answered this already but...) what does "normally conditioned" hair feel like? Is that totally individual, based on strand thickness, coil pattern, and things like that? Thanks! Normally conditioned hair will feel softer (an effect of the surfactants and conditioning deposits) and it will have increased flexibility but still be strong enough to be able to handle some manipulation. Over conditioned hair has a tendency to be super super soft (some naturals describe this as candy floss hair). This softness sacrifices flexibility meaning the hair is not able to stretch very well so it has to be handled gently to avoid breakage. I've recently started the Curly Girl Method and you keep botanical conditioners in your hair pretty much the entire time but with little to no manipulation. Are you familiar with the method and how do you feel about keeping conditioner in your hair at all times? Do you mean as a leave in conditioner? I do not see the problem with that. It is when you want to keep the conditioner in the hair in liquid form that I would begin to be concerned. iam usinh jojoba and aloe vera with rosemary to deep condition my hair as directed by my doctor for thinning hair ,every other day and spray jojpba and rosemary with aloe euery day ,is this bad? Hi JC. Could you clarify in 'lay man terms' this discussion you had with Sabrina Perkins? If water is the main component in all conditioners, what is the difference? I thought CGs left rinse out conditioners in their hair! Confused!!! If you apply a leave in conditioner or a normal conditioner to your hair as a styling aid, it will eventually dry out (i.e your hair is not wet to the touch as a result). If you however cover your hair with a plastic cap while it is smothered in conditioner, the conditioner stays wet on the hair and your hair will in general not dry out (i.e it is wet to the touch). Overconditioning is not really happening if the water content is reduced by evaporation and hair is dry to the touch. However, when hair is wet to the touch, overconditioning is likely if you are keeping it wet for a long time.